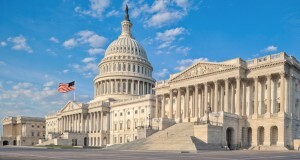 WASHINGTON, D.C. — Congress has reached an agreement on a year-end spending and tax package to keep the government funded through September. Consumers Union, the advocacy arm of Consumer Reports, said the agreement contains some important wins for consumers. Some lawmakers tried to slip last-minute items into the deal that would have gutted or weakened consumer safeguards. Consumers Union fought hard to help stop several of these measures by pressuring lawmakers to stand up for consumers. CU rallied tens of thousands of people across the country to call and write Congress, urging their members to reject behind-the-scenes effort by the banking industry and food companies to add harmful riders to the “must-pass” deal. CU met directly with policymakers and sent letters to Capitol Hill in opposition to a long list of these and other riders. In a few instances, the deal includes improvements in certain consumer areas as well. FOOD: Lawmakers did not include a federal preemption of mandatory labeling of genetically modified foods by state and local governments, an anti-consumer measure that was pushed by the food industry. The agreement also contains full funding for implementation of the Food Safety Modernization Act, the landmark law to overhaul America’s food safety systems. Plus, it requires the FDA to develop labeling for genetically engineered salmon before it can be introduced in the marketplace. CONSUMER FINANCIAL PROTECTION BUREAU: The agreement does not include a controversial proposal backed by banks and other financial institutions that would have undermined the Consumer Financial Protection Bureau by eliminating its direct funding source, restructuring it as a commission, and preventing it from implementing key rules related to forced arbitration. DODD-FRANK FINANCIAL REFORMS: The agreement does not include language that would have weakened standards and requirements under Dodd-Frank Act reforms, such as abusive mortgage lending, poor risk management at large banks and lack of regulatory oversight for large non-bank financial institutions. RETIREMENT: Lawmakers rejected an item that would have blocked the Department of Labor’s proposed fiduciary rule to eliminate potential conflicts of interest among retirement advisers. NET NEUTRALITY: The deal does not contain a proposal that would have prevented the FCC from implementing its Open Internet Order to protect consumer rights to net neutrality. ENERGY: The agreement extends tax incentives for consumers to install solar panels, and it does not contain language that would have blocked the Environmental Protection Agency from implementing its Clean Power Plan to improve public health and promote greater energy efficiency. While these wins are welcome news for consumers, the agreement does contain some items opposed by Consumers Union and other groups. It repeals mandatory country-of-origin labeling for beef and pork, although the language does not include poultry as some lawmakers had proposed. On the health reform front, the agreement imposes a two-year moratorium on the medical device tax and a one-year halt to the insurance tax, which are critical funders for the Affordable Care Act.